Our client required a new kitchen/dining/living space and additional bedroom accommodation. 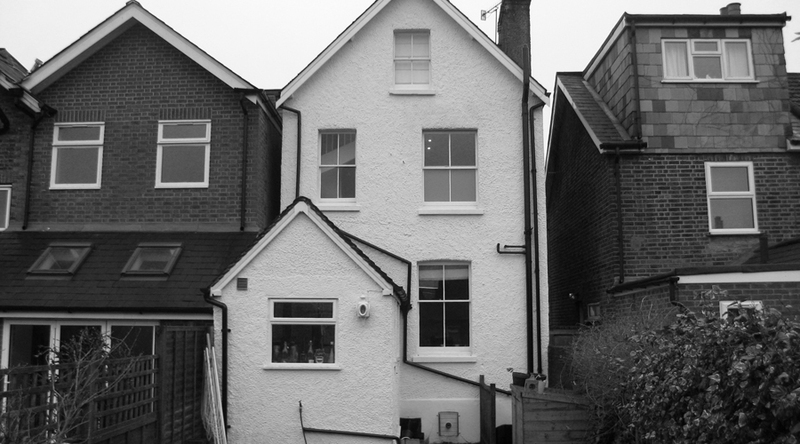 In a ‘Russian-Doll’ form we designed a modern rear extension arranged over three levels finished in render with a zinc roof. At lower ground floor level a full-width rear extension provides new kitchen/dining/living space with good connection to the garden. At first floor level a similar, smaller, extension provides space for a relocated family bathroom- thus freeing-up additional bedroom space in the host dwelling. At second floor level a still smaller dormer extension provides additional headroom and light to the existing staircase and attractive views to the North Downs.